The main idea of our extension is a search of information on the fly. 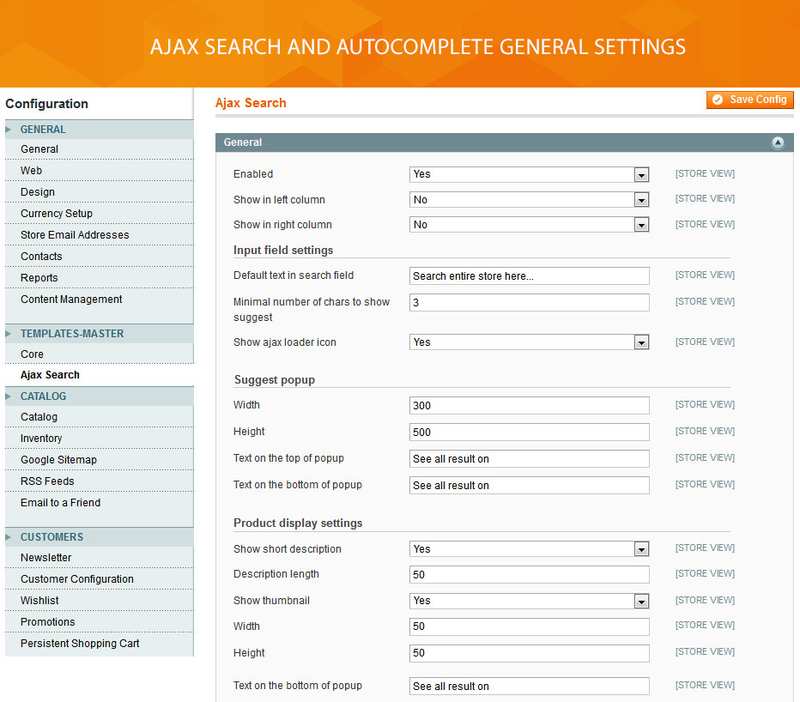 Ajax Search and Autocomplete module comes with more advanced search functionality than a simple Magento search. It enables the product display in ajax combo box. 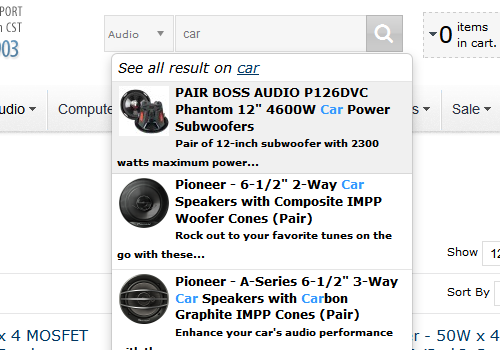 Now you can improve the popup by showing the keyword suggestions, catalog categories and CMS pages. 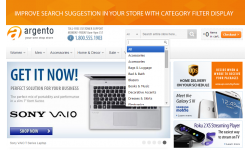 Via the extension, you'll speed up the search process and increase your store sales. 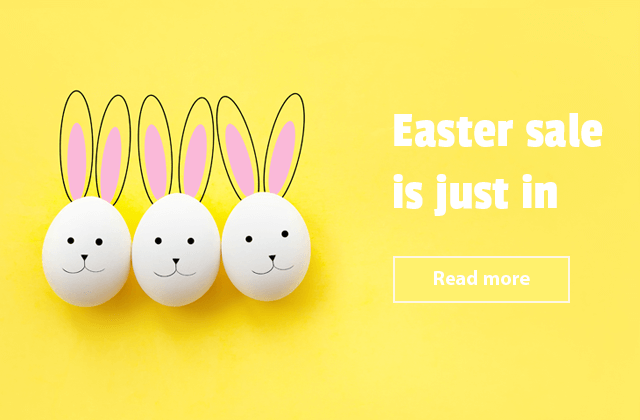 As you probably know, the conversion rate of visitors who use the suggested search is higher than the average. 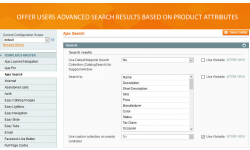 Learn how to show the results on a search list and perfect your website usability. 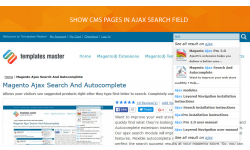 Use our module to gain users attention to the various web pages by using ajax suggest features. 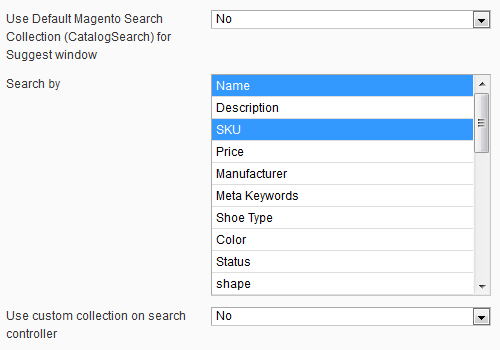 As soon as user starts typing, you can offer him to view the suggestions based on your Magento store catalog: products, categories, attributes, cms pages, etc. 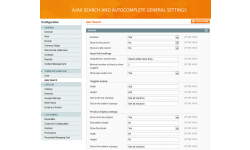 Ajax Search and Autocomplete is completely configurable through the admin interface. You can easily configure the input field, the pop-up string and customize the settings of the product display. Why not improve a search result look with attractive thumbnails for better viewing experience. 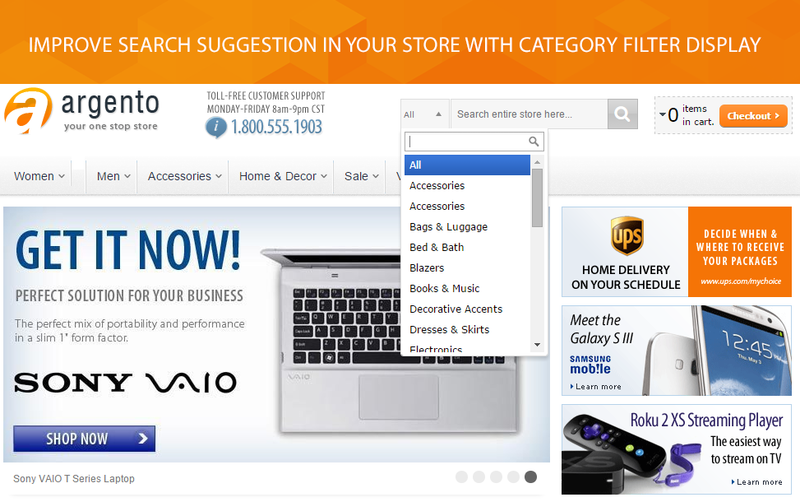 Using fully customizable suggest pop-up window you can start to promote your store products. 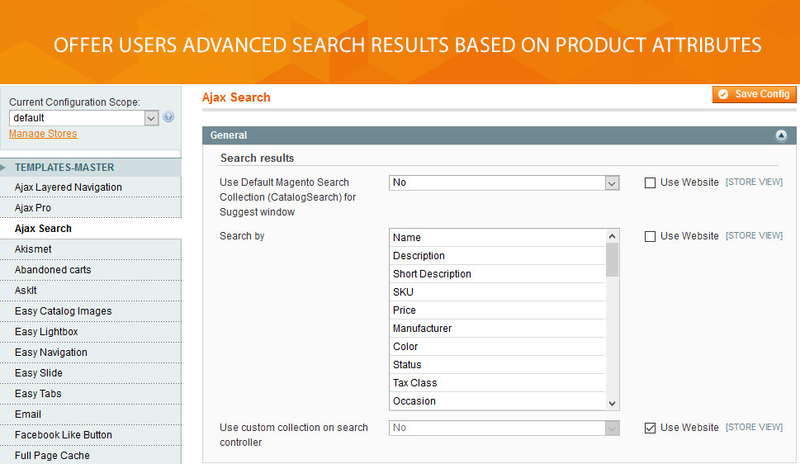 The module allows you to set the number of products to be displayed via ajax, add a welcome text on the top of a popup, show the keyword suggestions, tags and available categories directly in autocomplete window results. In addition, you are allowed to edit the background, colors, and borders of the popup within one CSS file. 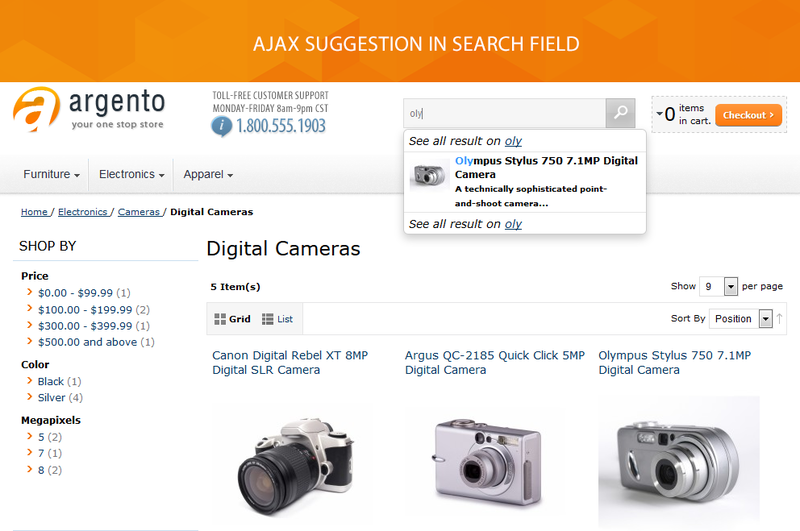 Ajax Search and Autocomplete module allows you to display both a description and attractive thumbnail next to the product name. You can vary both the description length and thumbnail size. Thus you will show the search results in the most suitable manner. 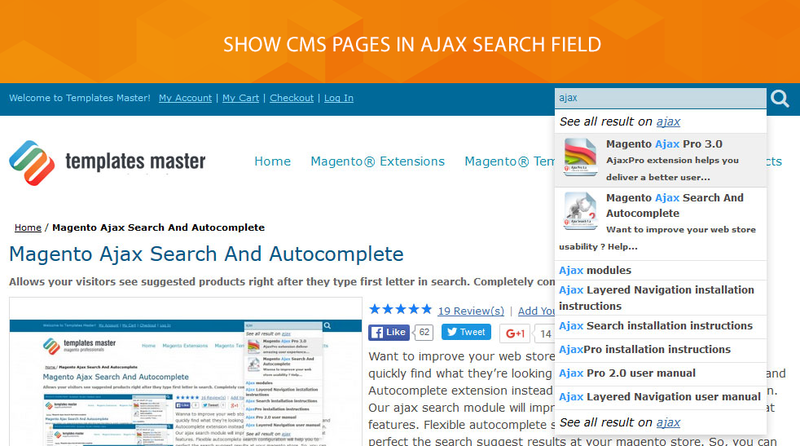 Ajax Search and Autocomplete module will help you to guide the visitors to Magento CMS pages and enhance user browsing experience. 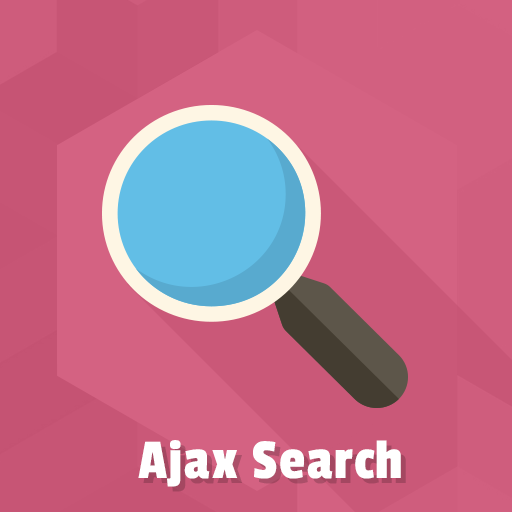 Right in ajax results you are allowed to suggest Contact Us, Terms and Conditions or other pages with rich content. 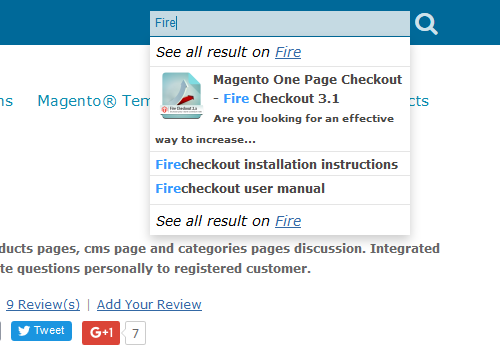 Make the most of suggesting Magento extension. 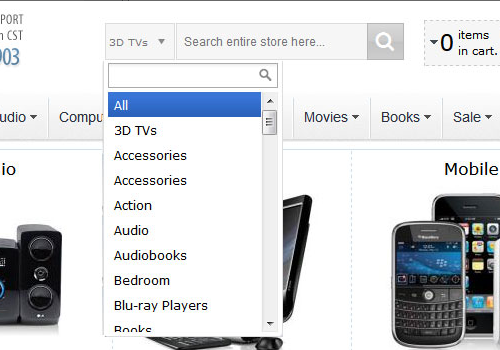 Improve the search in your store with category filter display. 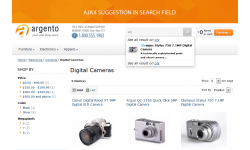 Our module allows you to show a category filter combo box.In such way, your visitors would refine their search by choosing the search results in a category drop down next to the main search box. You can set up the number of category levels to be displayed and specify the categories to be hidden/ shown.